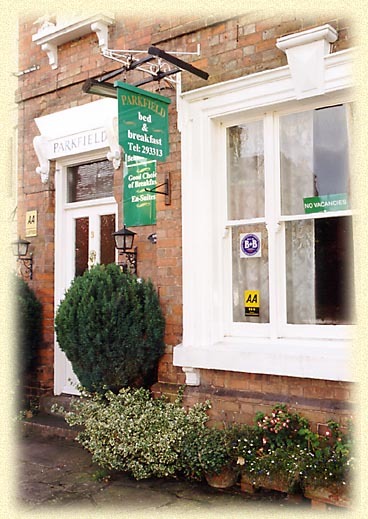 We are always surprised by how many people return to Parkfield time and again, but perhaps we shouldn't be. 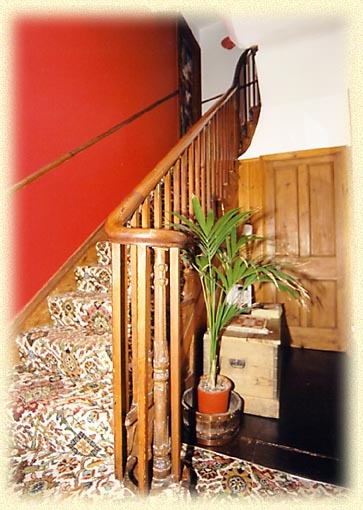 There is a lovely warm feel to the house, with many of the original Victorian features remaining. The rooms are larger than they appear from the outside and are mostly en-suite. We try to make everyone feel at home in them. There are comfortable chairs, hot drinks, central heating and radio alarms as well as TV's. The whole house is strictly non-smoking. Breakfast is a very individual meal, so we try to suit all tastes on our menu, with plenty of choices, from full english to full vegetarian to pancake and fruit. We are lucky to have a large car park so that guests may park easily and walk the few minutes to the theatres and town centre. If you have problems getting theatre tickets, we are happy to get them for you. We hope that you will become one of our regular visitors. Per person per night, including breakfast. Please send �.00 deposit per room, per night payable to J & R Pettitt OR send credit card details which will be held to secure the room. We take Visa, Access and Mastercard. 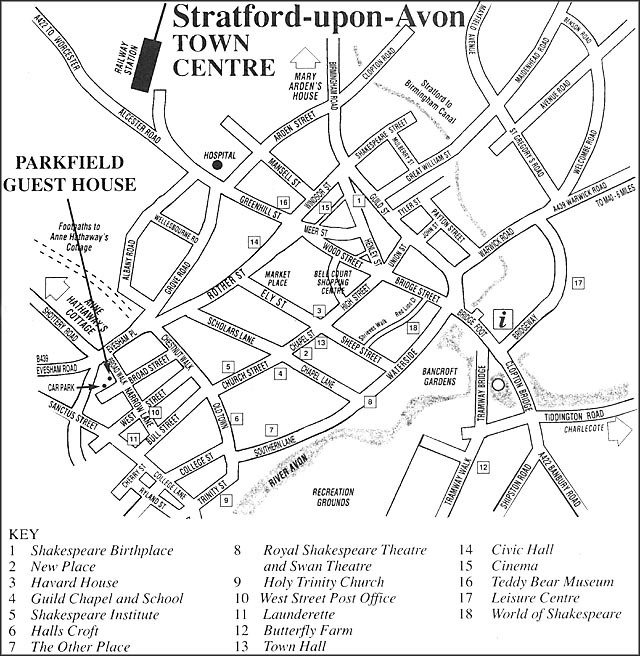 Shakespeare's Stratford on the Web / QuinSolve &COPY; / February 2006.